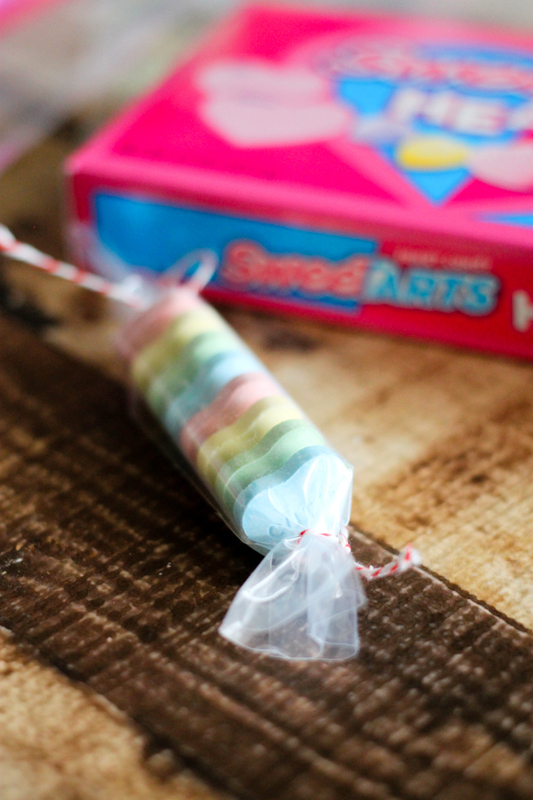 Now you can make your own DIY Candy Rolls by using SweetTarts Hearts and a few other supplies! All the kid will love this fun treat! 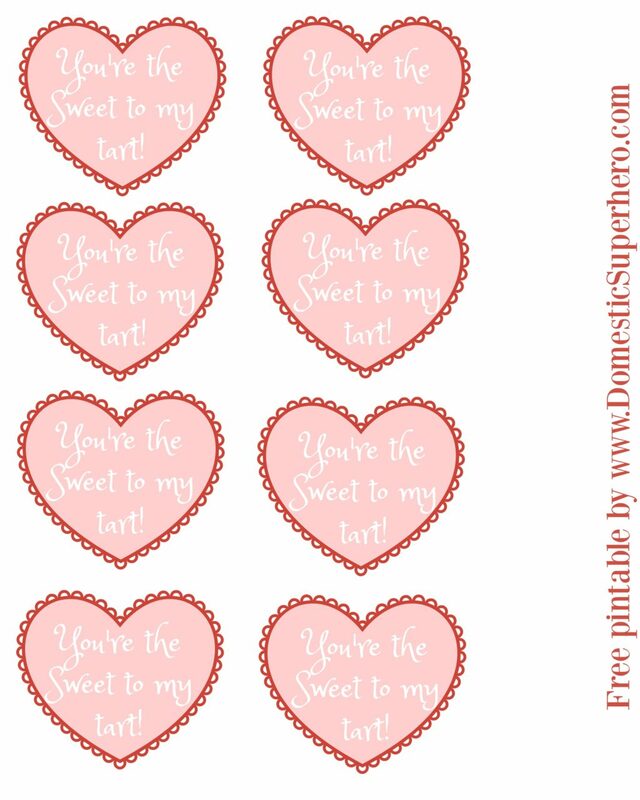 I love when February rolls around because I know all of the Valentine’s Day treats will be hitting stores! Me and my son especially love the SweeTARTS Hearts, and he really wanted to incorporate those into his Valentine’s cards this year! I decided that was a great idea and we could totally make it work! 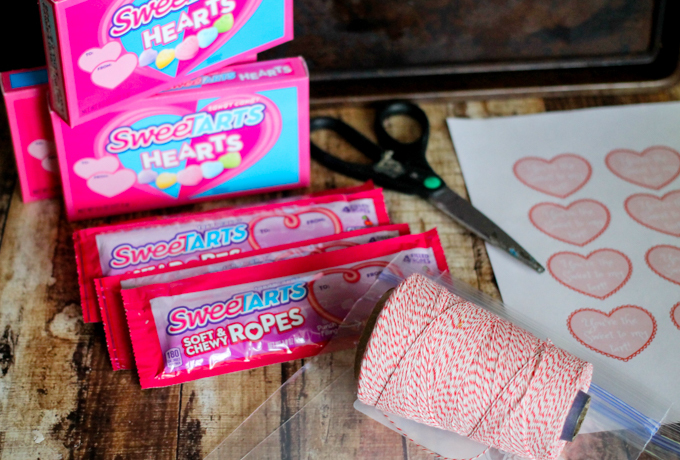 These DIY Candy Rolls incorporate SweeTARTS Hearts and then we made a fun tag to go along with it (and see below for a FREE printable). As you can see, the candies have a gift tag printed directly on the package making gifting to friends, classmates and co-workers seamless! We gathered our supplies for the project (you don’t need much) – plastic bags, scissors, twine, and paper to print the tags. These would go great next to the DIY Candy Rolls! Next, you are going to cut the plastic bag into large rectangle pieces. 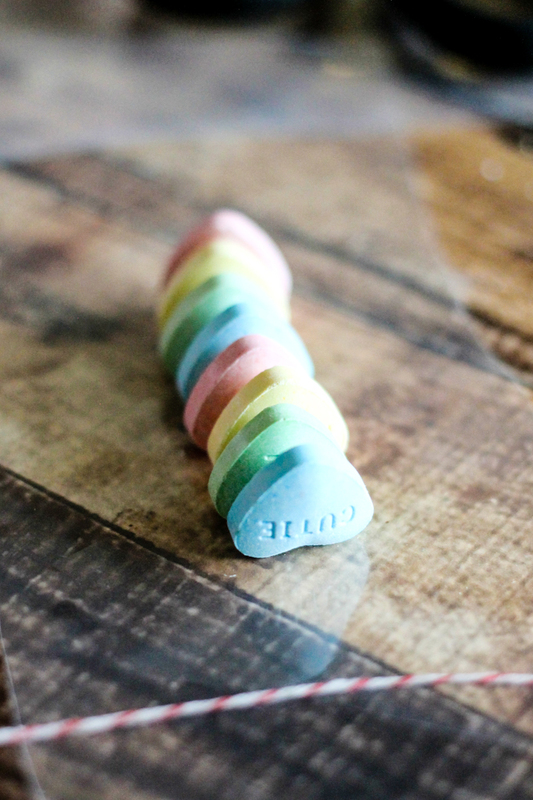 Pick the color SweeTARTS Hearts for your wrap, and then arrange them heart top down on top of the plastic – so they stand up. Next, roll the plastic around from the sides, and loop some twine around the ends – pull it tight to tie the ends closed! Trim off any extra string or plastic! 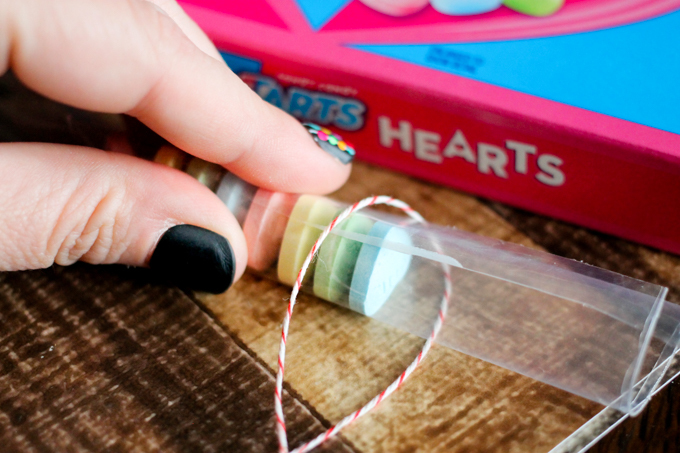 I love how the SweeTARTS Hearts have inscriptions on each heart, and you can pick which messages you’d like in each DIY candy roll! Get your paper ready because it’s time to print out the cute tag! 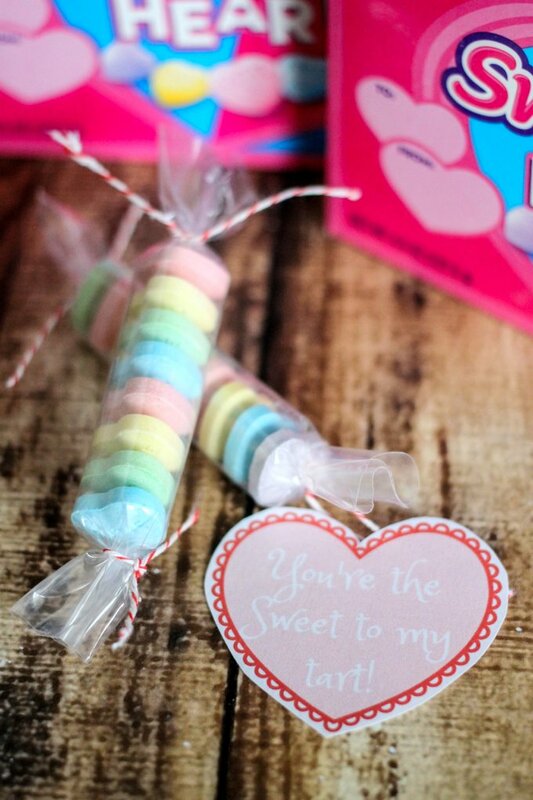 I love the play on the candy name with the little saying, “You’re the sweet to my tart!” How cute is that?!?! Click on the photo below to open the file. 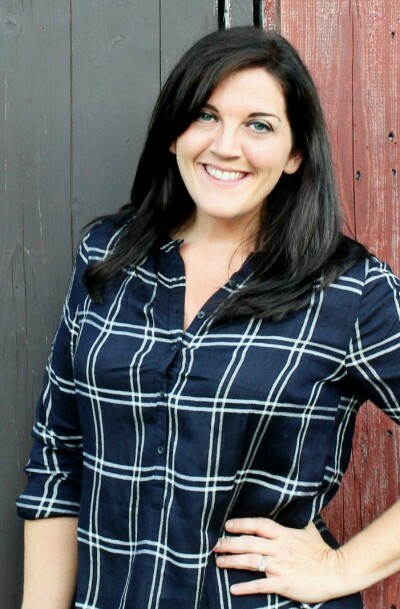 Then you will download the file (from top right corner of page that opens), then you can open and print it on 8×10 paper – I like to use cardstock. 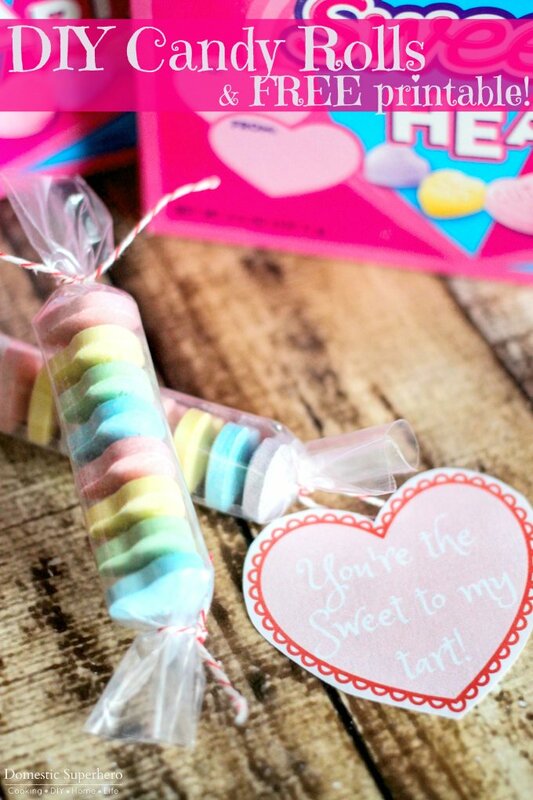 Once you print the tags out, just cut around the heart and attach it to the strings of the DIY candy roll! 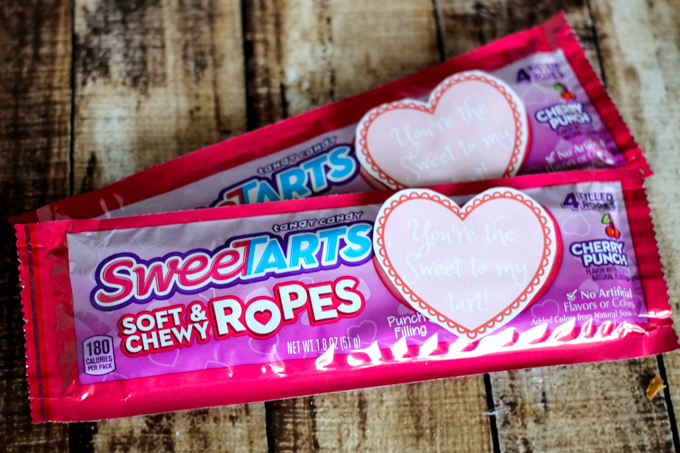 SweeTARTS Soft & Chewy Ropes treat candy lovers to a soft, chewy, cherry-flavored licorice rope packed with a tart punch-flavored center. Even though they have a printed tag on them, I think these are great to add to the wrapper as well! I like putting a tiny piece of tape on the back of the tag, then putting it over the rope heart on the wrapper – then the recipient can peel it off and discover who the treat is from! 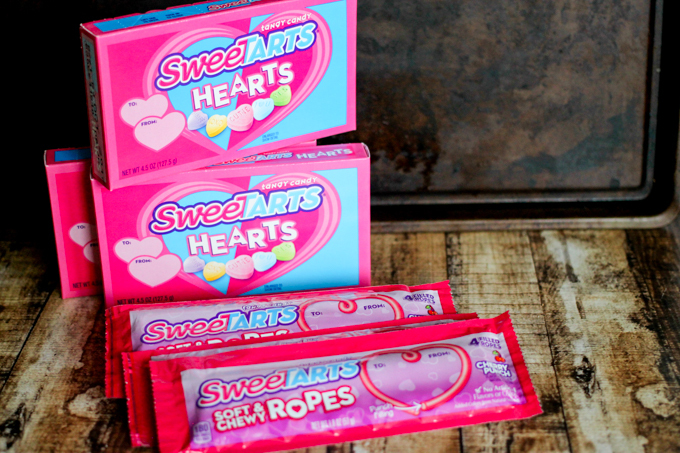 As you can see, SweeTARTS Hearts (4.5 oz./MSRP: $1.50) and SweeTARTS Soft & Chewy Ropes (1.8 oz./MSRP: $.89) are the perfect pairing to complement your love-themed recipes, gifts and décor options this Valentine’s Day. I also love that they contain no artificial flavors or colors, which is hard to find in candy these days!